Ahmed Men is the CEO of Planète Chocolat and has been using Mediatoolkit to acquire new sales prospects for the past 4 months. Check out their delicious Twitter and Facebook. Today you’re going to see 3 of my favorites strategies in action that we use at Planète Chocolat on a daily basis using Mediatoolkit. If you run an e-commerce business, the 2 metrics you should be OBSESSED with are acquisition and retention. 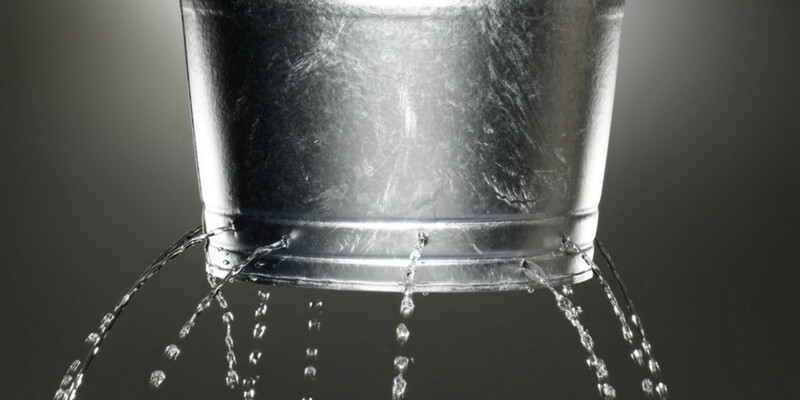 You don’t get one without the other; attracting customers without having the right tools to retain them is like pouring water into a leaking bucket. Guess the results of pouring water into a leaking bucket. 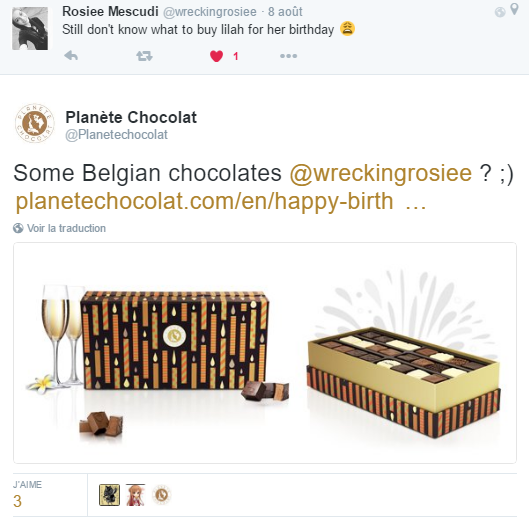 When we started using Mediatoolkit, our aim was almost too simple: monitor the online reputation of Planète Chocolat. But we soon realised that we could proactively use the tool and generate sales while building a close relationship with our future customers. The relation that we had created with our clientele pre-sale through social networks proved to be an excellent tool to improve our customer relation rate. A 5% increase in customer retention can increase a company’s profitability by 25–95%. So how can you create this special relationship between you and potential clients? Everyday hundreds of people all over the world desperately seek inspiration for gifts for their loved ones. A customer acquisition channel you say? E-merchants, what are you waiting for? Offer them your great ideas! – You grow your community on Twitter. By following the author of the Tweet, there is an 80% chance that they will follow you back. – You drive quality traffic to your site. – This strategy is not perceived as spam, because you are finding a solution to the request of the Tweet’s author. 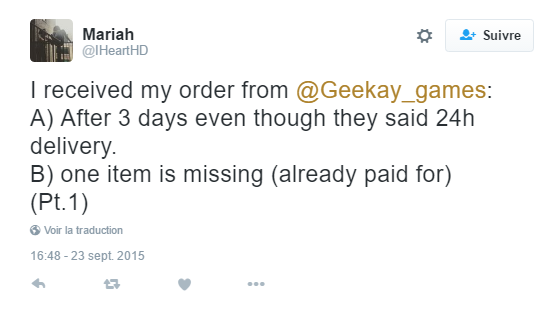 – You get seen by the entire network of the person who tweeted. If the author gives your response a like, all their friends will know that it’s a good gift idea for the author. – You create a close relationship with the author of the Tweet who is ready to buy RIGHT NOW! The RIGHT NOW effect is very important: imagine opening the door to Norman Bates benevolently. You will gain the respect and affinity of someone asking for help when its demand is at its peak. After expressing your interest in their problem, you stack the odds in your favor that your prospective client will stay loyal to your brand. But how can you be pro-active? 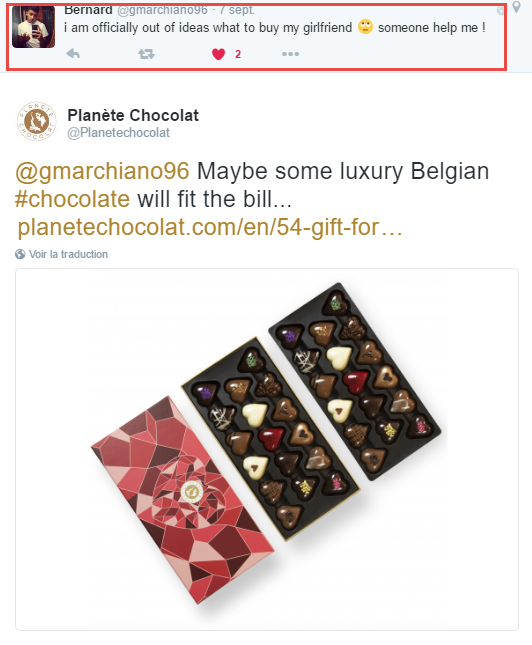 At Planète Chocolat, the whole team is connected via Slack and is ready to assist our potential customers who are stuck for gift ideas via the notifications from #Mediatoolkit channel. Each and every team member can respond according to whatever mood they’re in at that moment. It is also possible to receive emails in real-time or a daily recap via email. It is also possible to view notifications directly via the Mediatoolkit interface. Below is an example of a configured key word: “What to buy”. You can enter keywords to draw in as many languages as the language skills of your team allow. This strategy is effective for online business in all industries and perfect if your business is a SaaS. Let’s look at it more closely in our second part. Competitors in your industry have flaws and inadequacies and can lead to disappointed customers. When a customer is really unhappy, their first impulse will be to let the whole world know about their bad experience. If you think your products or service are better in certain aspects, it is the perfect opportunity to showcase your qualities. This trick is particularly useful for a SaaS if you offer features that your competitors do not have. For example, if you’re Bunkr and your ambition is to kill Powerpoint. Set up an alert with “Powerpoint” + “won’t” or “don’t” or “why” or “can’t” and interact by offering them your solution. 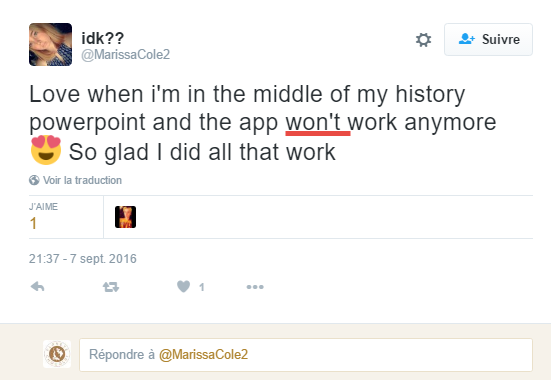 After all, you have a free version, right? In addition to acquiring new users, this will allow you to find out the real needs of your potential customers. 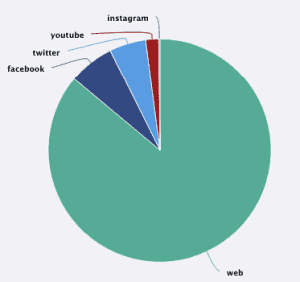 In what other ways can tracking your competitors be useful? Are you feeling down about your competitors always getting featured in articles on specialized sites of your industry, guest posts and news articles? It should delight you because they are giving you an opportunity! If it is a guest-post, it indicates to you that the head of the blog is open to this kind of approach. It’s just up to you to contact them and convince them to let you do a guest post. Does it seem more complicated if it’s an article on specialized websites or an online newspaper article? Well you’ll be surprised, but it’s actually even simpler. Journalists hate not appearing unbiased and being suspected of favoritism. Contact them and mention that you have read their article about your competitor, giving them at least one advantage you have compared with your competitor. A small bonus: tell them about your news, customer testimonials (Social proof) and the ultimate combo: a great little anecdote. In short, make their life easier by drafting the article that they’re preparing to write. Contact them and promote your brand. How long will it take to contact all these people? Pro tip: finding a way to contact these journalists can take a long time. Take the best URLs from articles that mention your competitors, place them in a column of an excel sheet, leaving two empty columns adjacent. Ask a Freelancer (Upwork/Freelancer) to find you the name and email of the author for each article. 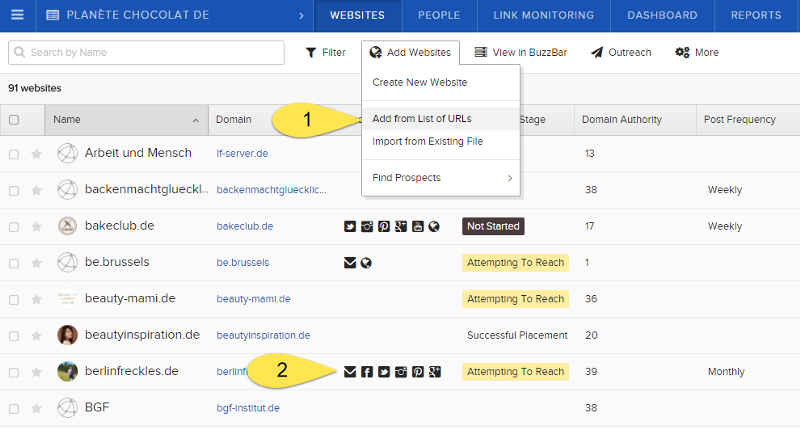 If your list includes hundreds of URLs, split it into several separate lists of 20 URLs and involve several Freelancers. This will allow you to compare the results, see the speed at which your chosen Freelancers are working, then select the most efficient for the rest of your list. Take great care of these lists. The idea is to keep the journalists informed of any of your important developments, as if they have not accepted the first time, they may accept the second. In most cases they will be recipients of our handmade Belgian chocolate gifts who want to share their love on social networks. To make sure you don’t miss anything, be sure to enter all variations of your brand name. In our case, we have our original version “Planète Chocolat”, as well as other common spellings “Planet Chocolat” and “Planet Chocolate”. Create the “wow” effect and thank them warmly. These people who have received your product as a gift are your future customers and you are already in the process of improving your retention. The second type of alert you will receive by configuring alerts for your brand are for articles on the web who mention you. 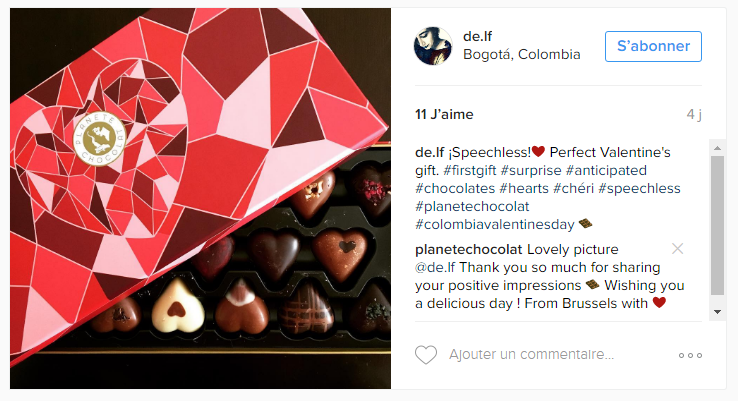 Here there is a Mexican website which talks about Planète Chocolat, but does not include a link to our site. SEO you say? 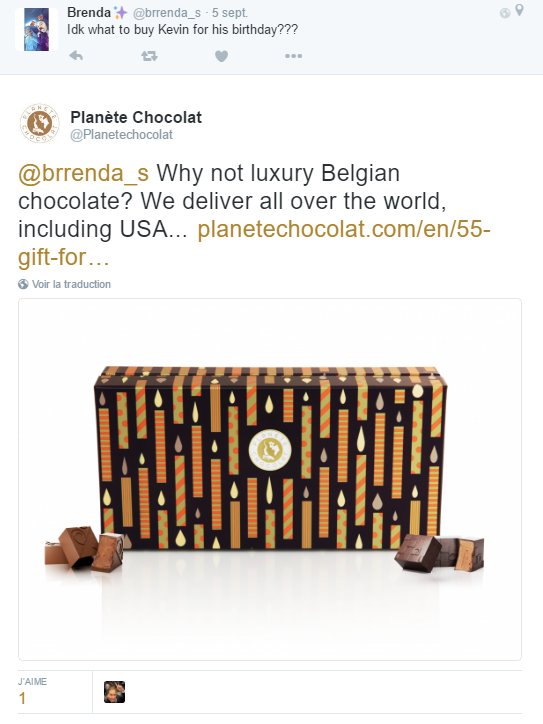 At www.planetechocolat.com: 65% of our customer acquisition comes from natural results. A great opportunity to obtain a backlink (DA: 75)… which would have failed if there had been no monitoring. Here are the two steps to save the day! How is this advantageous for you? It makes the page more popular in the eyes of the search engine, which is the page you will find your future backlink. You build trust with your community, showing them that people are talking about you and that you’re a hot topic. Ask them nicely if they can make a link to your website. You will be surprised by the many positive replies! Pro tip: have you fallen behind and you realise that your brand has already been mentioned hundreds of times on the web without a link to your website?Do not panic, all is not lost!We use the Buzzstream tool to save time. Gather all the URLs that mention you in a CSV or TXT, one URL per line. 2. The tool will look for contact site data that you’ve exported. And allow you to monitor your first contacts: Not started / Attempting to reach / Replied / Successful Placement. Ideal if you work in a team. I hope you will see the potential of monitoring your e-commerce or business. What are your favorite tactics for acquisition?